The division of University Advancement at Illinois State University seeks to enhance the image of Illinois State University, cultivate relationships, and secure funds. The Division is comprised of several teams working together, including: Fundraising, Alumni Engagement, University Marketing and Communications, and Advancement and Foundation Operations. To continue on that trajectory of success, we need your help. In September 2017, the University announced Redbirds Rising: The Campaign for Illinois State, the largest fundraising campaign in the University's history. Every gift to Illinois State is important and contributes to the University's success. Join us by supporting Redbirds Rising. 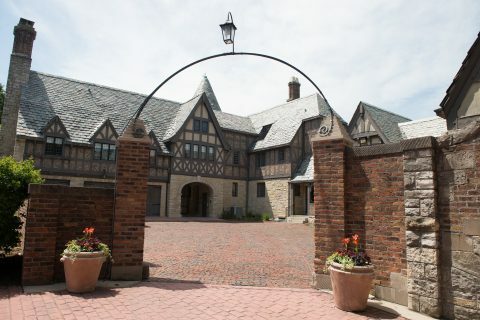 Ewing Manor tours begin in MayThe Manor at Ewing Cultural Center will open for free public tours from 4-6 p.m. Mondays beginning May 6. Tours run from May to October.